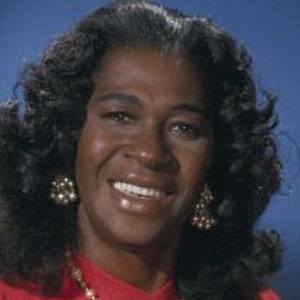 Actress who played Aunt Esther from the acclaimed 1970s TV sitcom Sanford and Son. She was already a successful comedienne, touring clubs around Los Angeles and St. Louis, when she was cast in Sanford and Son. Redd Foxx, who played Sanford on the show, personally intervened to have her cast and threatened to walk off the show if she was replaced. She was born in Cleveland, Ohio and raised in St. Louis, Missouri. She also had a memorable appearance on the Keenen Ivory Wayans' cult comedy Don't Be a Menace to South Central While Drinking Your Juice in the Hood.